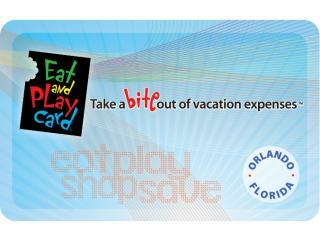 Eat and Play Card™ is Orlando’s only discount card providing holiday savings on virtually everything – dining, attractions, shopping, golf and more! With Eat and Play Card, every discount is a % off the entire bill, so there’s no limit to how much you can save. It’s simply the best way to save the most money on your holiday expenses in Orlando. 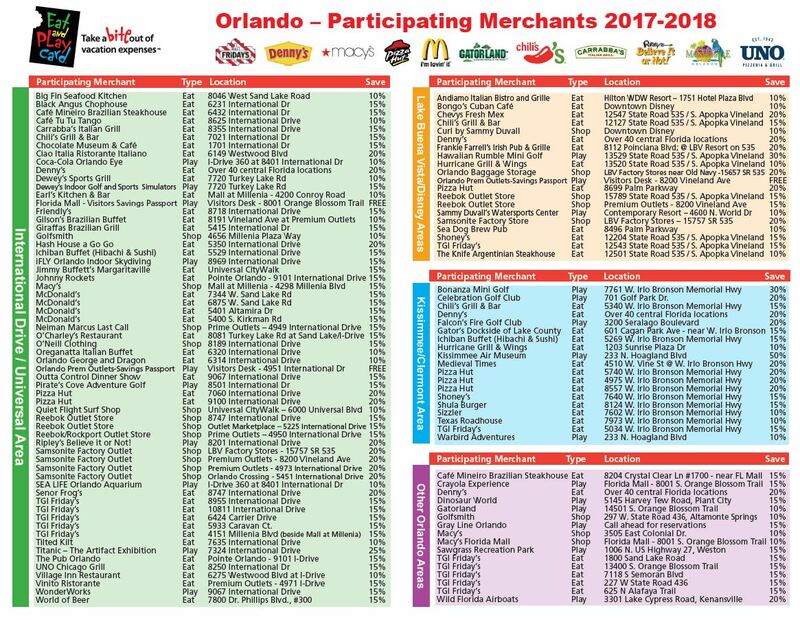 Click here for a list of participating Shops, Restaurants and Attractions (subject to change without notice).